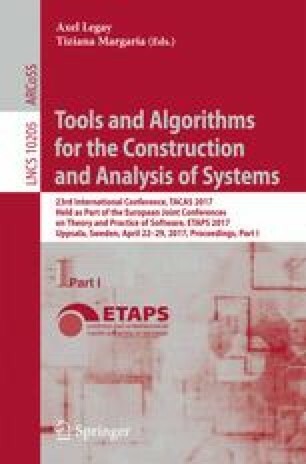 We consider the problem of verifying finite precision implementation of linear time-invariant controllers against mathematical specifications. A specification may have multiple correct implementations which are different from each other in controller state representation, but equivalent from a perspective of input-output behavior (e.g., due to optimization in a code generator). The implementations may use finite precision computations (e.g. floating-point arithmetic) which cause quantization (i.e., roundoff) errors. To address these challenges, we first extract a controller’s mathematical model from the implementation via symbolic execution and floating-point error analysis, and then check approximate input-output equivalence between the extracted model and the specification by similarity checking. We show how to automatically verify the correctness of floating-point controller implementation in C language using the combination of techniques such as symbolic execution and convex optimization problem solving. We demonstrate the scalability of our approach through evaluation with randomly generated controller specifications of realistic size. This work was supported in part by NSF CNS-1505799, NSF CNS-1505701, and the Intel-NSF Partnership for Cyber-Physical Systems Security and Privacy. This material is based on research sponsored by DARPA under agreement number FA8750-12-2-0247. The U.S. Government is authorized to reproduce and distribute reprints for Governmental purposes notwithstanding any copyright notation thereon. The views and conclusions contained herein are those of the authors and should not be interpreted as necessarily representing the official policies or endorsements, either expressed or implied, of DARPA or the U.S. Government. This research was supported in part by Global Research Laboratory Program through the National Research Foundation of Korea (NRF) funded by the Ministry of Science, ICT and Future Planning (2013K1A1A2A02078326) with DGIST.